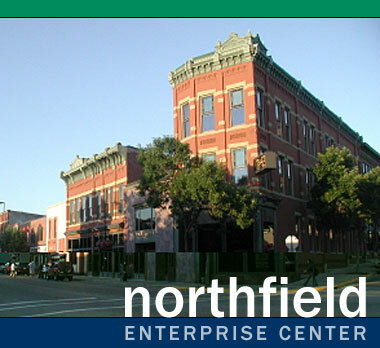 The Executive Directors of the Northfield Area Chamber of Commerce, the Northfield Economic Development Authority, and the Northfield Enterprise Center will be our guests at the NDDC’s February Downtown Forum. The Forum is Tuesday, February 5th, 8 am in the Riverview Conference Room (lower level of the Archer House), 212 Division Street, in downtown Northfield. The Forum presentation is intended to introduce the Executive Directors to the community, raise awareness of the programs and services they offer businesses, and share their recent accomplishments, as well as their organization’s priorities for 2008. Kathy Feldbrugge will represent the Chamber of Commerce, the lead business organization that promotes the Northfield area and the local business community. Charlene Coulombe-Fiore will represent the Economic Development Authority, an entity created by the City of Northfield that works to establish a higher tax base and additional job opportunities for the citizens of Northfield. Blake Abdella will represent the Northfield Enterprise Center, a private, nonprofit organization that helps area businesses of all sizes succeed and grow. The three guest organizations, along with the NDDC, also wish to highlight their collaborative work for economic development in the Northfield community. The four partners meet on a monthly basis to better coordinate their efforts. As always, coffee and cookies will be served.